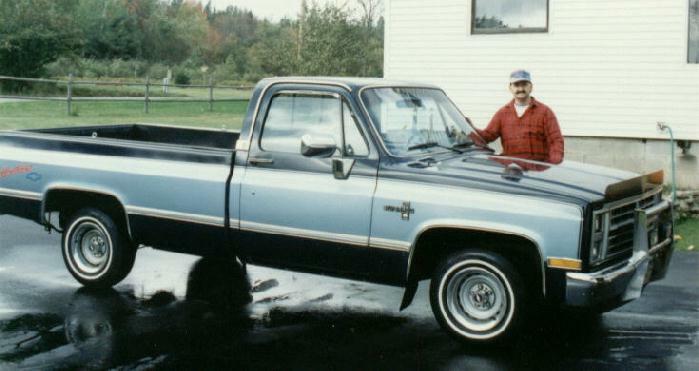 This was my dad's first real pickup truck. It was purchased with ~85,000 miles back in the early 90's with light front end passenger damage as seen below. It had some nice options, like AC, split windows, and a 5.0L V8 2bbl auto. 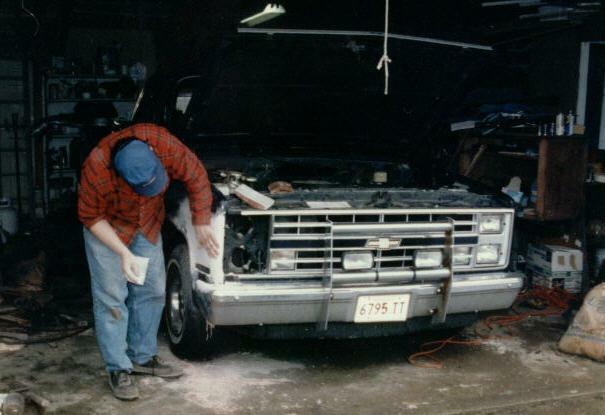 Eventually rust became a problem, so along with the front end, the truck was fixed and painted. It originally was Solid Dark Blue. That is my dad working on the front end. He had the truck for about 2 years before doing this. Below is the finished product. It was painted 2 tone, the center color being a lighter blue. This allowed the hood and roof to not have to be painted again. The colors worked very well together and looked very sharp. 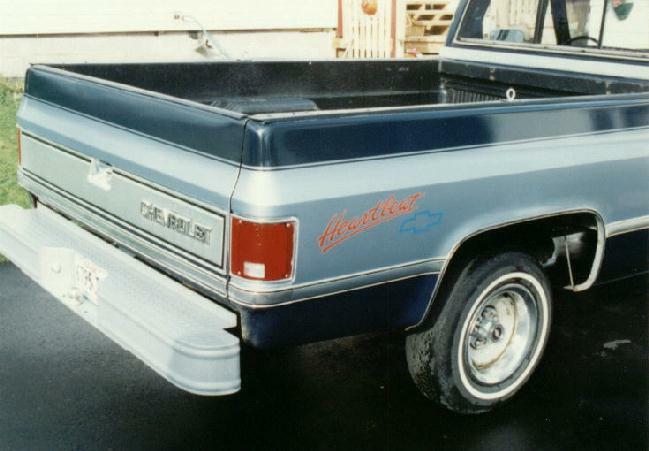 As a final touch, the red "Heartbeat" sticker with chevy emblem was added. 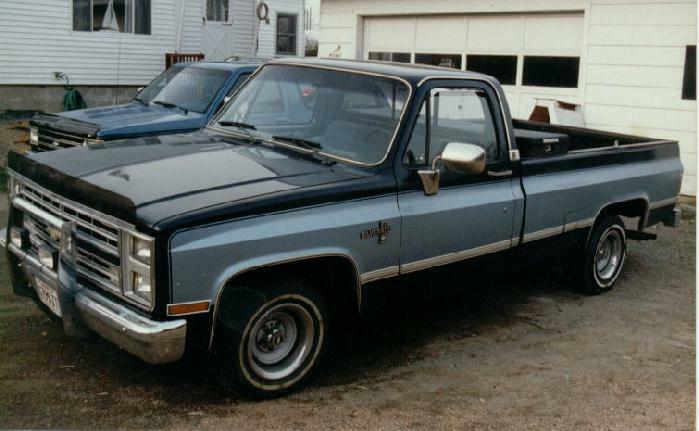 The truck was eventually traded-in for the current GMC Sonoma 4x4. It had 128,000 miles on it when done.